Discover Why Our Clients are So Happy! "For as long as I can remember, I have been deaf in one ear. It is something that I have lived with for more than 50 years, and I have never known anything else. In recent months, I developed tinnitus in my hearing ear, which was alarming, since I have just that one ear to rely on. After a doctors visit and a hearing test, it was discovered that the hearing in my 'good' ear has diminished and it was suggested to me that perhaps hearing aids would be a benefit to me. I made an appointment with Nicole at Discover Hearing and did just that - I discovered hearing! I was fitted with pretty teal blue Bi-cross hearing aids - one for my deaf ear that transmits (wirelessly) to my better ear, and an amplifying hearing aid in my 'good ear'. I got them on a Friday afternoon, and went back to work. I was shocked at the loudness of my footsteps down the hall, the sound of people typing on their keyboards, and that I was able to hear conversations in offices behind me. At home, my husband can whisper in my deaf ear, and I can hear him in my other one. It has been such a remarkable experience. There are no words that can describe the difference they have made in my life. I am getting used to what I think is normal hearing - I didn't know what I was missing or how deaf I really was. Not only can I hear, but when I have them in, the tinnitus that was such a distraction is gone and greatly reduced when I remove the hearing aids at night before bed. It was hard to admit that I needed help hearing, and harder to make the decision to make an appointment, but I am so thankful for everyone who made this possible for me. From my family's support, to the doctor who suggested I look into it, to the friendly people at Discover Hearing. If anyone reading this is experiencing hearing loss or tinnitus, the good news is, there is help for you. Make the call - you won't regret it." "I appreciated Daniela's kindness and diligence in making sure that the aids worked well for my mom." "I have been a client of Discover Hearing for 6 years. From the moment I walked into the cozy vestibule and then into the office, where I was immediately greeted, I knew I had made a great choice. For seniors, making a decision to get hearing aids can be very stressful. Going from a silent lifestyle to one filled with sound and clatter is definitely challenging! Carmelle has been a rock! She and her staff are always professional, kind and caring; ready to share their knowledge and expertise in a manner that gives us a full understanding. The support I received from them while wading through insurance forms went far beyond my expectations. I am forever grateful, with special thanks to Wendy! 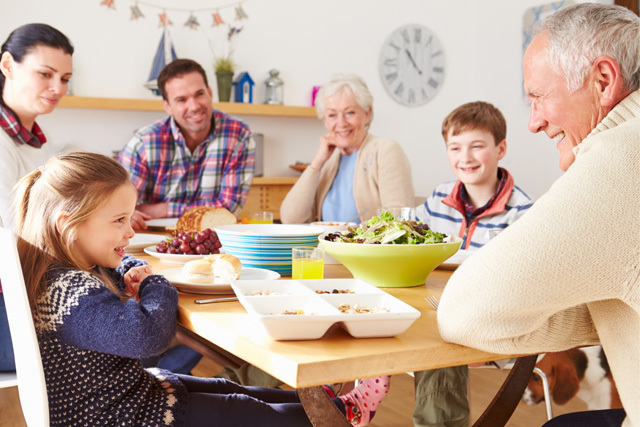 I wouldn't hesitate to recommend Discover Hearing to my family and friends." "I have been a customer of Discover Hearing for 15+ years. I really like the new renovations. Everything is very professional looking and their sound booth is exceptional. Nicole is my Practitioner and is very good at what she does. It was Nicole that discovered I had Diabetes. When I went for a hearing test one day, she discovered something was really off with my hearing, so she pursued it further. I went to my family doctor and he discovered the diabetes. If it wasn’t for her not sure what would happened. Thank you to Nicole and the wonderful staff." "Acknowledging the possibility of hearing loss is the first and most difficult step. Finding a trusted hearing clinic is the second. And following through with an appointment is the third. Discover Hearing, right in St. Albert, will make the rest so easy you will wonder why you hesitated. Nicole greets her customers with friendliness and empathy. She listens to what hearing problems are presenting themselves, conducts thorough examinations and testing, and discusses the best options available, taking into consideration finances and health coverage. All information is up front. Discover Hearing leaves you with the comforting feeling that they will take care of your hearing improvement. A very satisfied customer." I was taught how to use my hearing aids. I received excellent follow up. The result is I feel comfortable asking for help, when I need batteries etc the staff are friendly polite and helpful. I would certainly recommend Discover Hearing to friends and family. Thank you for making getting hearing aids a positive experience." "I consider the staff of Discover Hearing to be an elite group of people as they have provided nothing but a positive yet professional experience. Wendy and Danielle (wonderful front staff!) have been very welcoming and accommodating, providing prompt assistance when needed. Daniela, who was involved in the fitting of my newest hearing aids, has a lot of knowledge within her field yet she remained curious, asking questions and making sure my concerns were addressed. I highly recommend Discover Hearing to anyone!" "My sleep molds saved my marriage!" "I have been using hearing aids for several years and for the first time, thanks to Discover Hearing, I am enjoying the full benefits hearing aids can offer. The staff at Discover Hearing are courteous, prompt, efficient and professional and have met all my hearing aids requirements. I would highly recommend their service to anyone." "This is just a note to say a huge THANK YOU to Discover Hearing, and especially Nicole, who fitted my husband's hearing aids a week ago. The difference in our relationship from just that simple change is amazing! I didn't even realize how much I just didn't bother saying, because it always meant repeating, talking louder than I was comfortable with, and conversation had all but dried up. It was a bit lonely at our house. Now, normal communication has been re-established. I feel that I have my old husband back (well okay, he's also a bit old in years). With much appreciation." "I recently met a friend who was dealing with ringing in his ears that was driving him crazy. As he was describing his discomfort I realized that my tinnitus was not bothering me as much as it had in the past. I told my friend that since I got my Oticon hearing aids the ringing in my ears is not nearly as intense as it had been. I know that the ringing did not go away since it returns every time I remove my hearing aids, but while I am wearing them I am much more comfortable. I am extremely pleased with this product and the quality of care you and your staff provide for me. My sincere thanks." "I don't know how to thank you enough for adjusting Mom's hearing aids! It is wonderful that she heard the announcements as that was one of her big concerns. Firstly, she has missed the information and secondly, the activity coordinator would come kneel beside her to repeat the most important announcements and that embarrassed Mom. This service you provide will certainly give her a new lease on life! Thank you again and please keep up the great work!" "I have been a client with Discover Hearing since 2012 and have been very satisfied with the professional and personal service they have shown me. The staff is always friendly and I greatly appreciate all the help Daniela has been. She is very knowledgeable and has always been able to pin point any problem I have had and corrected it making me very relaxed and comfortable with my updated Oticon Aids." "Upon finding out that I was in need of hearing aids, I selected Discover Hearing out of a myriad of hearing aid places. I am most satisfied with Discover, and would recommend others to go to them. Easy to talk to and looked after all my needs. Great place. Thank you." "I have been wearing Hearing aids for about 12 years, and have always been most happy with any of the staff that I dealt with at Discover Hearing, as well as the hearing aids purchased. Recently I purchased new hearing aids, and had the pleasure dealing with Daniela. She was very professional and extremely helpful. I felt she really understood my needs, since she also wears hearing aids. My Aunt that is 103 years of age has also seen Daniela on many occasions and was always more than happy with the care and concerns she had. I would highly recommend Discover Hearing as your hearing specialists, and Daniela as your Hearing Aid Practitioner." "I wanted to write and say a huge thank you to Daniela. She is a huge asset to your industry and your store. She sorted out a problem for me today that Apple and Oticon both did not figure out. I have been waiting over a month for a resolution that she sorted out right away. Please pass on my sincere thanks to her for the help and professionalism. I can now hear my music, my messages and other sounds via my streamer. Thank you so much."